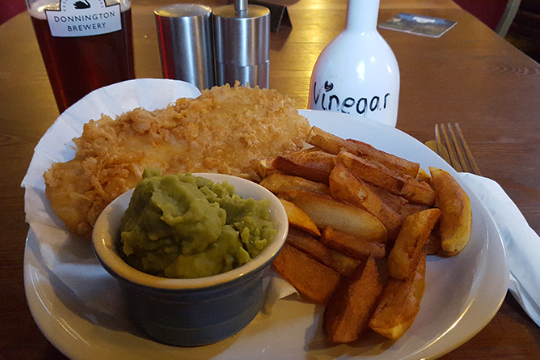 Great fish pub just a few miles outside of Swindon, serving a full menu of fresh catches & seafood from Looe in Cornwall. 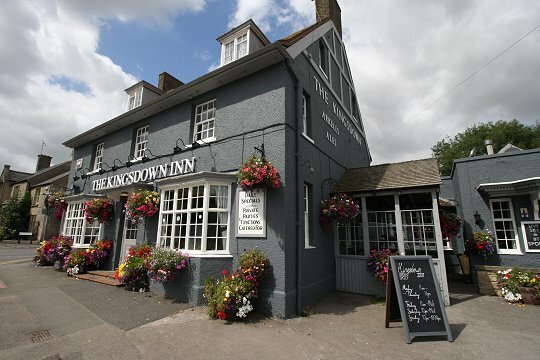 A complete fish menu is available every day at 20 at the Kings in Old Town, Swindon. Fresh deliveries from Brixham include sardines, rock salmon, lemon sole, mackerel, grey mullet and more. £10 per dish incl. sauce, vegetables or salad. 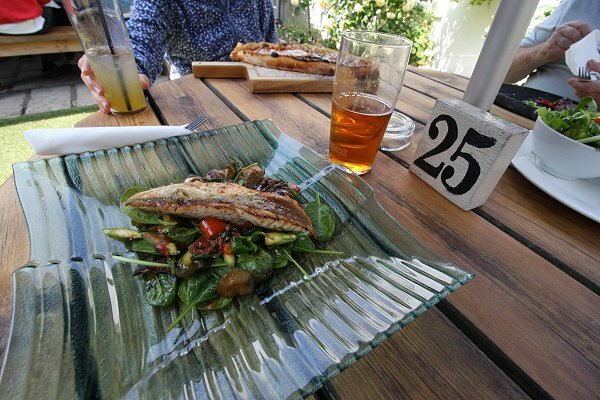 This place goes the whole hog when it comes to fish by boasting it's the best 'in southern England!' So popular, in fact, they serve it everyday now. Landlord Bill certainly knows his cod and believes there are four secrets to serving the very, very best fish & chips. Open everyday for lunch & dinner. 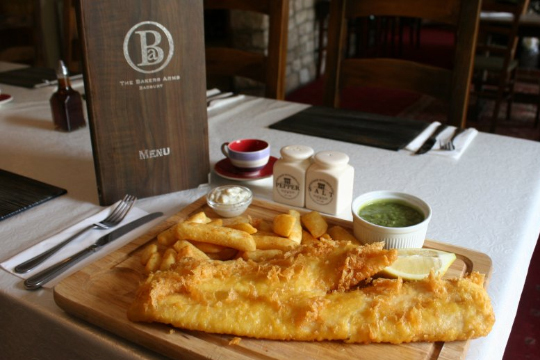 The Fox & Hounds serve a couple of fabulous fish dishes on their menu including line caught fish in a beer batter served with chipped potatoes and minted peas, and a fish pie featuring a selection of fish from Brixham, a white wine cream sauce, fluffy mash and petis pois. 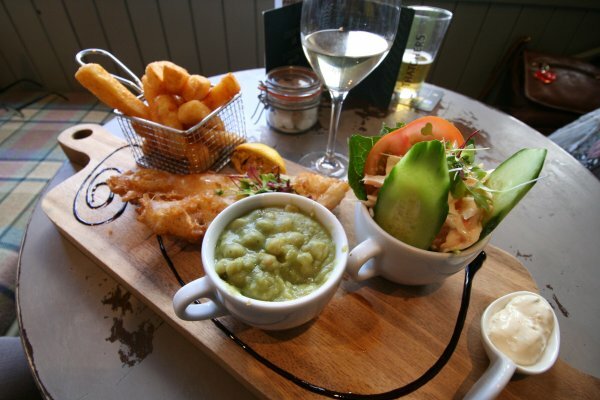 How about trying the Arkell's Ale Battered Haddock Fillet with chips, fresh green peas and homemade tartare sauce. Just £9.25. 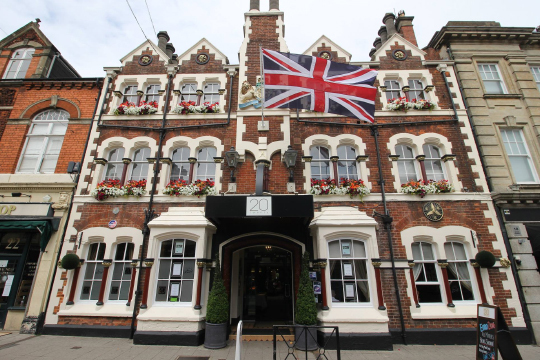 Every Friday sees the Friday Fish Special at The Red Lion, Castle Eaton with fresh cod and chips to eat in for just £7.25! Alternatively they do a take out service for £5.50!